September 1928. An Olympian spirit was flourishing in Ireland. Dr. Pat O’Callahan had just won the Irish Free State’s first ever medal at an Olympic Games. O’Callahan’s gold medal in the hammer throw in the Amsterdam games was the first time an Irish man representing a sovereign Irish state had claimed victory in the highest athletic stage of all, a feat he would repeat four years later in Los Angeles. A few weeks earlier, in Dublin, the second Tailteann Games had been staged to much acclaim. The multi-sport event was the Free State’s answer to the Olympics, and a chance for the infant state to show itself in the best possible light on an international stage with competitors from up to nine different nations taking part. Unlike the modern Olympics, less athletic pursuits were an integral part of the Tailteann Games. 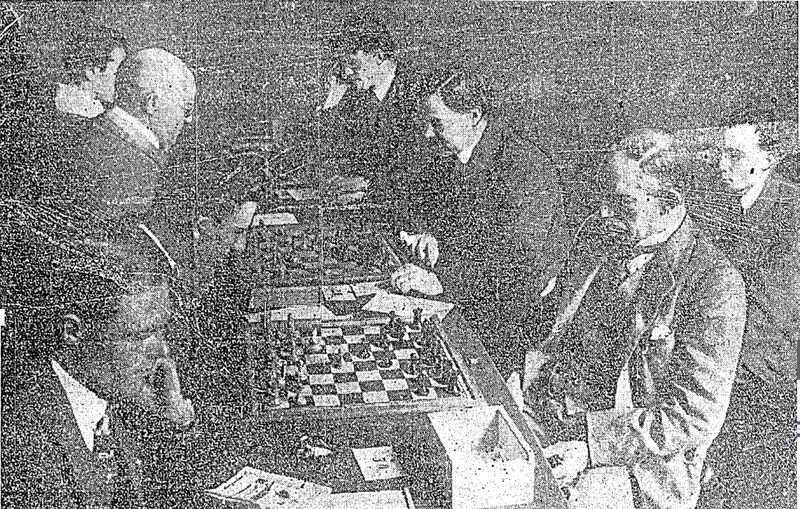 Above is an image from the Chess competition which attracted the best players in the world. Part of the reason the Tailteann Games were staged was to advertise the Free State. It attracted dignatories from around the Commonwealth. 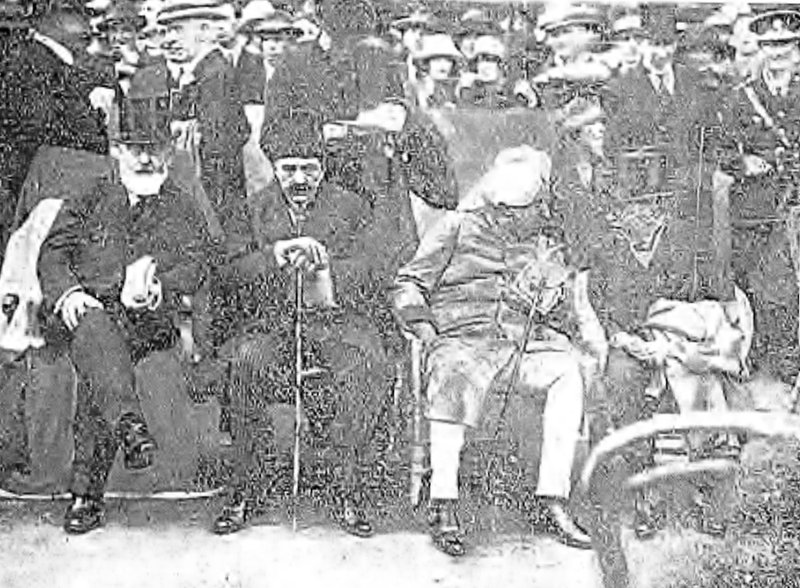 Above, at the 1924 Games, were (L to R)Tim Healy (Governor General), Prince Mizra Riga Khan (Persian Delegate of the League of Nations), Maharajah Jam Saheb, Sir John Lavery. Another pursuit part of the Tailteann games, were some motor sports. 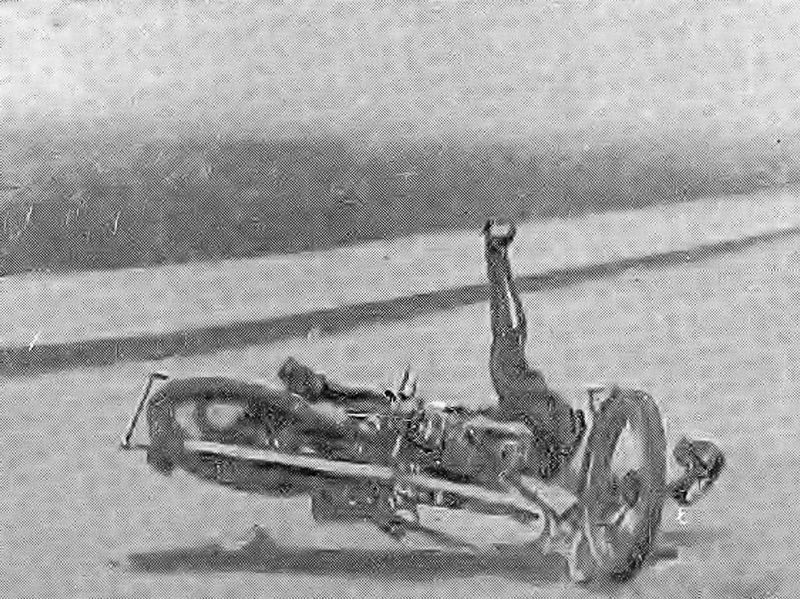 Above is an image from the 1924 500cc motorcycle race as Patrick Brennan falls from his bike on a sharp bend round the old Gough Statue in Phoenix Park. The Opening Ceremony for the 1928 Games were a more elaborate affair than the first Games in 1924. Above, women in traditional Celtic dress enter Croke Park as part of the celebration of Irish history and culture. 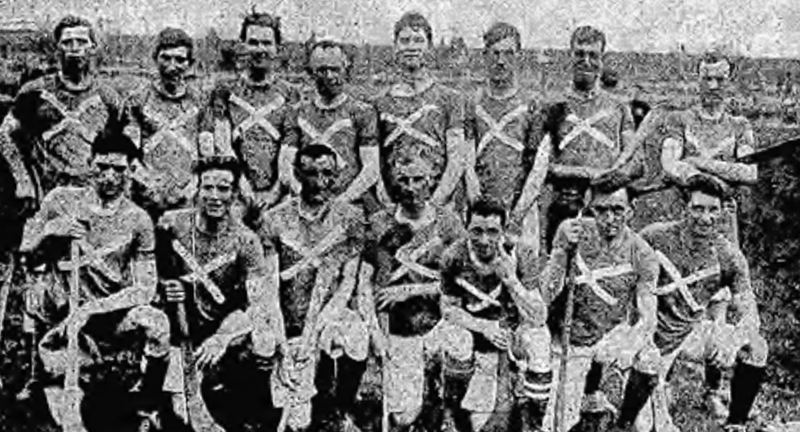 The fact that the Tailteann Games of 1924 and 1928 were held around the same time as the Olympics which were relatively nearby (in Paris and Amsterdam respectively) allowed many of the world’s greatest stars to participate in Dublin. Above, Phil Edwards of Canada wins the 800m at the 1928 Tailteann Games.Edwards was Canada’s most decorated Olympian for many decades, winning multiple bronze medals in Amsterdam, Los Angeles, and Berlin. The murmurs of a Dublin bid grew and the apparent target of a bid would be the games of the 12th Olympiad to be held in the summer of 1936, the 1932 games having been awarded to Los Angeles many years pervious, the second to take place in the USA, and first since the St. Louis Games in 1904. The 1930 Olympic Games Congress was held in Berlin, and amidst motions such as one that permitted women to participate gymnastics, swimming, lawn tennis, skating, and ‘light athletics’, the list of cities aiming to host the 1936 Olympics were confirmed as Dublin, Cologne, Berlin, Frankfurt, Nuremburg, Alexandria, Rome, Basel, Helsinki, Budapest and Montevidéo. However, Irish delegates at the congress focused, in the prime, on the inclusion of handball (GAA style handball, as opposed to ‘Olympic Handball’) for inclusion in the 1932 Olympics. In the intervening year it is not very clear how serious the Free State Government was about hosting the games. Another city that was added to the bidders list after the Berlin congress, was Barcelona, hosts of the 1932 Olympic Congress. As part of their plan to convince the Olympic conference that Barcelona was an appropriate venue for the Games was a series of exhibitions games, of which the marquee main event would be a football game in front of 70,000 spectators between Spain and … the Irish Free State! Spain was in a state of utter flux at the time. Merely twelve days before the game, Niceto Alcalá Zamora announced himself the head of a provisional government of Spain’s Second Republic. Zamora himself would make his first appearance on the international stage as President at the game. He occupied the Royal Box, formerly the reserve of Alfonso XIII, who abdicated a fortnight before. Zamora was met with huge applause when introduced to the crowd. Cheering and the waving of handkerchiefs was said to have lasted for several minutes. The football game was preceded by an exhibition rugby game between a local team and a Parisian selection. After Zamora had shook hands with all 22 men that took to the field, the game began, forty minutes after the scheduled kick-off time. Spain opened the stronger and hit the upright in the opening minutes as the Spanish wingers were causing the Irish defence great hardship. They should have opened the scoring moments later, but were denied by the Irish keeper, Tom Farquharson. Farquharson, a fascinating character in his own right, was captain on the day and was playing his third international with the FAI team. At the time, several of Ireland’s best players often played with both FAI and IFA (Northern Ireland) selections. Indeed, Farquharson was embroiled in controversy before he arrived in Barcelona as he had also been called up to the Northern Ireland team to play Wales but opted to play in the glamour tie in Spain for the Irish Free State. Following the great save, the Irish grew into the game and managed to take the lead when Paddy Moore’s strike passed the Spanish keeper, Real Madrid star Ricardo Zamora, said to have been one of the world’s highest paid footballers at the time. The lead, however, was short lived as Ángel Arocha equalised in a scramble in the box. Frustrated by the manner in which the Spanish equalised, Ireland pushed forward in the second half as a light rain fell upon the increasingly greasy Spanish turf. But the Spanish defence, and Zamora, held firm and the game ended in a draw. Back to the Olympic conference, one of the last items to be discussed at the meeting was the allocation of the 1936 Olympic Games, Summer and Winter. Unsurprisingly, Dublin, as well as the vast majority of bids were not even considered. The only cities considered were Barcelona and Berlin, although Budapest was also briefly considered. The Italian delegates waiving the Rome bid at the last instant. Due to a large number of absentees from the meeting the final vote was carried out a few weeks later in Lausanne where it was announced that Germany, then under the Weimar Republic, won the vote, beating Barcelona by 40 votes to 16, with 8 abstentions.